Four top 10 matchups highlight a slate of eight meets to watch over the weekend. After pulling off a double upset, the Illini will head south to give the Sooners a tough battle while a Big Ten tri-meet and a multi-conference quad-meet are must-watch events on Friday and Saturday nights. Why You Should Cancel Plans For It: The weekend’s premier matchup brings Illinois down to Norman to take on the top ranked Sooners. The Illini are coming off of a great meet where they recorded a new season high while taking down second-ranked Stanford and fourth-ranked Minnesota. 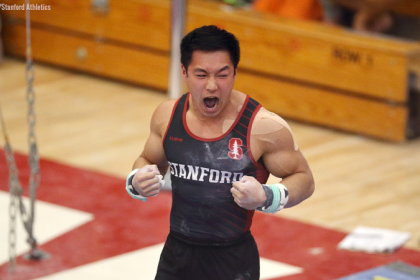 Oklahoma also set a new season high in its last outing two weeks ago, and last week senior Yul Moldauer won the all around at the American Cup over a talented field of international gymnasts. This meet should be uber competitive with tons of star talent, and Illinois is the team with the best chance to end Oklahoma’s undefeated streak before the postseason begins. 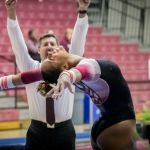 What Else You Should Know Before Tuning In: With this the last home meet for Oklahoma this season, the Sooners will be hosting senior night to honor their nine senior gymnasts, including top competitors Anderson and Moldauer. Why You Should Cancel Plans For It: The closest-ranked matchup of the weekend pits three top 10 Big Ten teams against one another. Minnesota and Nebraska are both coming off upset losses while Ohio State used a season high to pull an upset itself and jump into the top 10 for the first time this season. Each team’s stars—Minnesota’s Shane Wiskus, Nebraska’s Anton Stephenson and Ohio State’s Alec Yoder—will all be key in their team’s ability to win and all have little room for error if they want their school to get the W.
What Else You Should Know Before Tuning In: In the Big Ten standings, Minnesota currently sits at 1-3, Nebraska at 2-2 and Ohio State at 1-1. 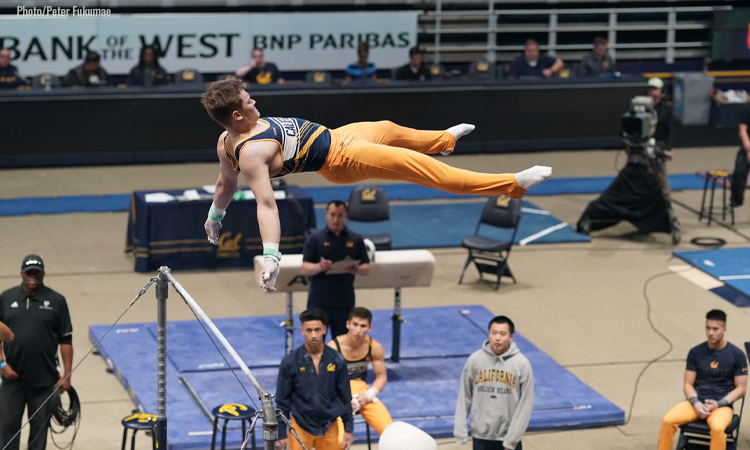 Why You Should See the Error of Your Ways: The weekend’s only quad meet pits the Big Ten and ECAC against two GymACT teams in Tempe, Arizona. Top 10 teams Penn State, coming off an upset loss, and Navy, coming off a season low score, will be the frontrunners in the team race as they both look to turn things around. Arizona State will be hoping for some consistency at home, as its past three scores have fallen in a 16-point range, and ideally would like to break the 400 point barrier as the highest ranked team yet to do so this season. 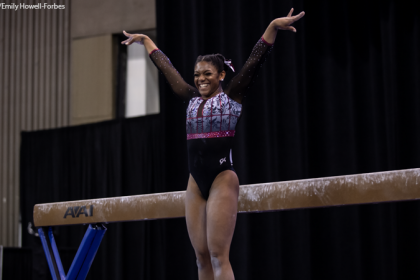 Having not competed in over a month, NorCal United will look to gain its gymnasts more experience in its last meet prior to the USAG National Championships. Why You Should Clear Space on Your DVR: The last of the top 10 matchups this week pits Iowa against Michigan in a Big Ten battle. The Hawkeyes are coming off of a season high and upset win over Nebraska while Michigan’s last outing was a road loss against Oklahoma. Iowa will be looking to hit 400 in consecutive meets for the first time this season but will have to do it on the road against a Michigan team who has only fallen below 410 once in 2019. The Wolverines will be led by third-ranked all arounder Cameron Bock, who we are hoping will return to all six for the first time since before Winter Cup.